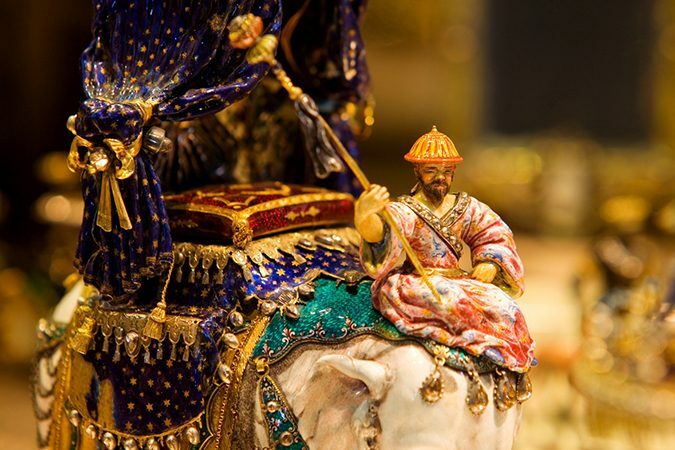 "The Royal Household at Delhi on the Occasion of the Birthday of the Grand Mogul Aureng-Zeb" in the New Green Vault represents the idea of European monarchs of palaces in India and embodies the dream of absolute power and immeasurable riches. 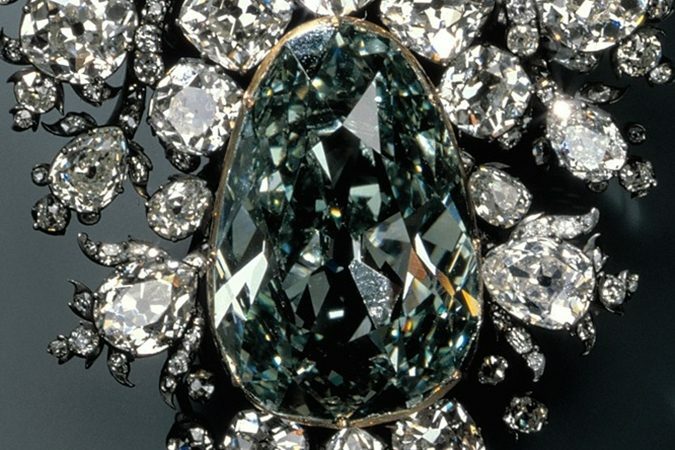 This masterpiece comprises 4,909 diamonds, 164 emeralds, 160 rubies, a sapphire, 16 pearls and two cameos. It was created in Dresden by the Dinglinger goldsmith family between 1701 and 1708. Saxony’s ruler Augustus the Strong paid almost 60,000 talers for it, more than he did for the construction of his mighty Moritzburg Castle. Also known as “Dresden Green”, the largest natural green diamond in the world is on display at the New Green Vault. 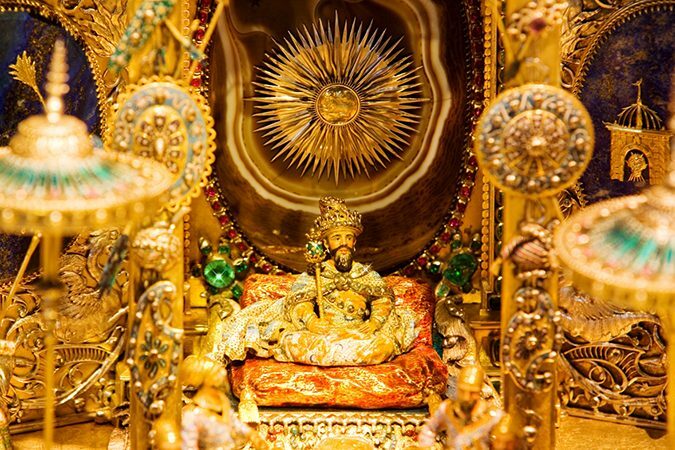 The 41 carats precious stone probably hails from the Kollur mine in Andhra Pradesh and was purchased by the son of Augustus the Strong at the 1742 Leipzig Fair. In 1768, it was incorporated into an extremely valuable hat ornament with two large and 411 medium-sized and small diamonds. Consisting of a bowl and a pitcher with rich mother of pearl inlays, the set, sometimes falsely described as “the Royal Wettin family’s first baptismal font”, was imported from Gujarat in the 16th century and altered to suit the taste of European rulers by goldsmiths in Nuremberg and Antwerp. The result of this artistic encounter between East and West has been part of the Green Vault since 1832.